Add their websites on. And working pattern so I don't have to email everyone to find out when they work etc. By telling you if they do manual or automatic driving lessons. More info on instructors... to save time on emailing,calling or texting instructors. Offer an idea to prices and more about the service. Saying the driving lesson price. I'm looking for an automatic driving instructor, would be helpful if it said if they were manual or automatic. Sign in to update your ADI registration. Add the link to your website or Facebook page. Tick the box to show you’re committed to a minimum period of CPD per year. Tick the box to show that you follow the ADI code of practice. Tick the box to publish your latest standards check grade and score. Can you post my pass rate ? Can you post best examiners pass rates ? Best test center for passing ? You won't be able to publish pass rates on the find your nearest driving instructor service. Hi Olivia, I have updated my account to include my latest Standard Test Grade but it's still showing"Grade unavailable"! Is there any one I can email for help? Many thanks! If you're having trouble updating your details, you can contact PADI@dvsa.gov.uk including your full name, personal reference number and a description of the issue you're having. Publishing the number of complaints made against examiners at test centres would be useful when it comes to pupils choosing the best test centre for their needs. The examiners at some test centres might be better at putting pupils at ease, delivering the test and providing feedback. I'm sure many pupils and instructors would welcome being able to provide post test feedback maybe using something like a grade A, B or Fail based upon their subjective assessment during the 40 minute snapshot of a driving test? This could fairly easily be added onto the existing find your nearest DTC centre page and to ensure fairness, whilst the name of the person providing the feedback and the date (although not the year) of their test would remain anonymous, the result of the test would be automatically shown. Hi I already gave permission to publish my lastest standards check grade but on the site it says Unavailable. Where can I get help on this? Further to Michael Rigby's comment, I completely agree. The interesting thing is that, based on my location (Leeds, West Yorks), none of the 40 'nearest' instructors have a Grade 'A' (like chickens) or a '6' (high or low?) - the nearest 'top' grade is 6.5 miles away! What a totally deceptive and misleading piece of factual information. I am a grade 5 (like the vast majority), an full-time ADI for 17 odd years. I have NEVER been short of work and It's not my grade that's done this, it's my reputation. I have taken pupils on from Grade 6-ers who failed to get through to them, and I strongly suspect that there have been ex pupils of mine who 'gave up' for a while who moved on to other instructors - sometimes the chemistry just doesn't work. In the final analysis, it's not your grade (one persons' opinion after observation of an untypical hour's lesson) that counts, it's your passed pupils willingness to recommend you because of what you did for them. Unfortunately, the statistic-bound, monopolised and unaccountable body that the DVSA is doesn't wish to find a meaningful way to convey such a subjective viewpoint. 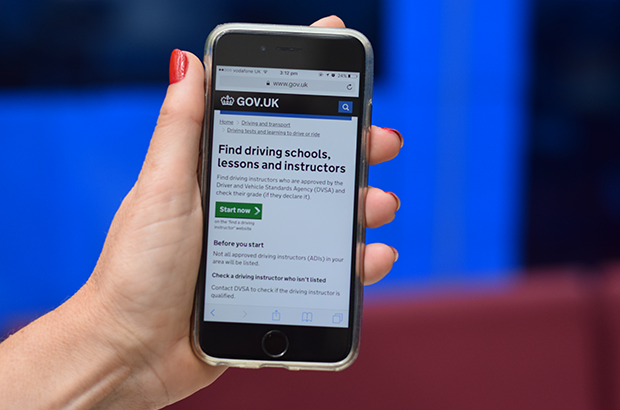 Can you outline the guidance for nationwide driving schools with hundreds of instructors? Do you accept bulk uploads - with a mixture of individual and company-wide information to be managed centrally? Individual instructors are responsible for their own records and data and we can take requests to change or publish data only from the instructor themselves. We would not be able to accept information submitted en masse by a larger company on behalf of their employees. As the Dvsa has incorrect details on the system and despite numerous attempts over the past nine years to get the information corrected they have failed to do so. Therefore can you please advise how i can remove my information from the DVSA and make it so that the DVSA cannot share any of my information. I'm sorry to hear that you've had problems with the incorrect details. These are the details that are held for you on the ADI register. When you're logged in, you can then opt in and out of having your details displayed at any time. Over the past two years I have never been able to find myself on find an instructor...I put my own postcode in and an error message comes up. I have used several devices and even a relatives PC in Oxford...still nothing except the error message. I'm sorry that you've had problems using the service. Could you please email details of the error message you see to customerservices@dvsa.gov.uk, and a member of the team will look into it for you. There does not appear to be much to attract one to include ones Driving School on this set up! We think that being able to promote yourself to learner drivers and their parents from an official source is useful, but understand that not every ADI will want to use it. Over the past couple of years, the number of people using the service to find an instructor has been increasing. In June 2015, it was used by 20,000 people. The data for June 2017 shows this has doubled to 40,000 people. Over 278,000 people have already used the service in 2017. We know that some of those will be ADIs checking their details, but it does show that more people are turning to the service as part of the task of finding the best instructor for them. We've added these latest features in response to feedback from learner drivers. We'll continue to develop the service to meet their needs. As mentioned, we will be running a consumer campaign later in the year to raise awareness of the service even more, so we expect the figure of 10,000 people a week to increase. So as more learners and their parents use the service, we think that there'll be even more value in ADIs signing up to have their details displayed. I don't give driving lessons in the small village where I live, but in a town several miles away. I trade under a business name, which has a separate telephone number, website and e-mail address. My ADI registration is in my personal name and home address. How do I arrange to have my business details published and not my personal details? The system is set up to use the individual’s contact details rather than the school. This is to avoid the scenario where ADIs who work for the larger schools would all be displayed under the school's HQ postcode (and they could live hundreds of miles away). However, we've updated the Find Your Nearest service to enable customers to search based on grade, code of practice, and CPD if instructors agree to publish their information. This means that, rather than simply seeing a list of the instructors nearest to their home, customers can go straight to the ones that provide this information. i completely agree with Michael Rigby's and Stephen Seale's comment's. An interesting thing is that i am based in mid Essex, have been an ADI since 2002 and worked with "allegedly" one of the largest "local" driving schools in the area, as per Michael i have never been short of work but, was brainwashed into the idea that it was all because of the "local" brand name, having now left that organisation and because of the way in which a particular paragraph was written in my running contract with them had to cease promoting myself and trading in my "local" area for 6 months. The owner of the "alleged largest local" driving school was a boasted 6 times in a row grade 6 ADI yet rarely sat in on actual driving lessons, each time he takes his check test he used the same format, lesson plan and a person familiar with what is required to get that illusive Grade 6 with no effort..
As i say i have "NEVER" been short of work and as per Michael and Stephen above it's not my grade that's done this, it's "MY" reputation. Within 2 weeks of restarting in my area my diary is bursting at the seams with pupils, i have also taken back pupils from other instructors some of which are Grade 6'ers, while being out of the frame for that 6 month period pupils who moved on to other instructors have moved back to me, reputation and the chemistry between 2 people is what creates a success story not a flimsy piece of notepaper from a short one hour session with a total stranger that you have never seen until test standard's check day. Pupils willingness to recommend you because of what you did for them is what this role as an instructor is all about. The DVSA web site currently shows pupils that have passed with particular instructors but, it only shows a few as per my own, DVSA have put up the names of 40 passed pupils, if it put up a true reflection of my passed pupils it would show 828 pupil's being taken to test and passing through me since 2004 that i can easily show from my accurate records. As per Stephens quote "unfortunately, the statistic-bound, monopolised and unaccountable body that the DVSA is doesn't wish to find a meaningful way to convey such" success's or subjective viewpoints. Can you put in a filter for Manual and Automatics? How can you find an LGV driving instructor?